The purpose of dvdInteriorDesign.com is to give you practical tips and inspirations for your interior design. 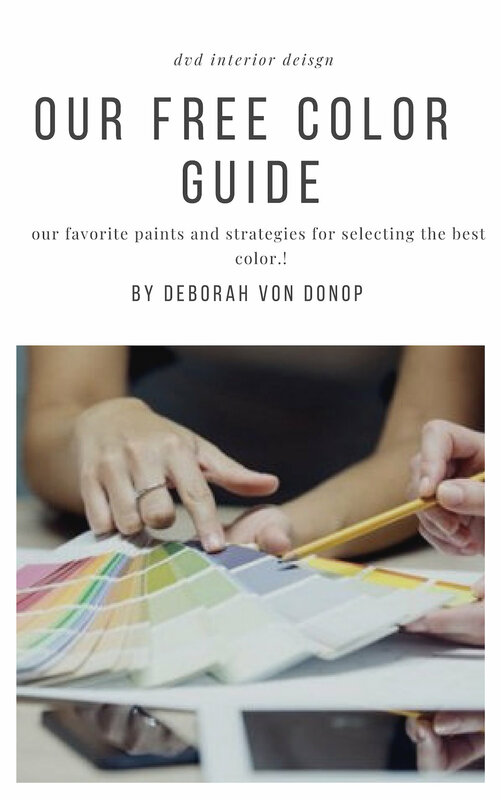 By sharing my resources and suggestions , I hope to give you the incentive and inspiration to take charge of your own design decisions and are empowered by doing so! Blogging about these topics is so much fun, and I enjoy interacting with you and exchanging ideas. However, as a blogger, there are also many opportunities for me to get paid for what I do. Running a blog does have it’s expenses – hosting, graphic licenses, time, and more. So if I can offset those costs even a little bit to provide you with more quality and exciting content, I’m going to do it. But it will always be with your interests in mind. I won’t ever share a product or service I don’t believe is beneficial to you. That’s just not how I work. Please read through the following accepted forms of compensation, so you are aware of these practices on this site. : We may collect personal information from you such as your name or email address. For example, you may voluntarily submit information to the Website by leaving a comment, subscribing to a newsletter, or submitting a contact form. In addition, you are able to create a user profile, which allows you to create a username and password. We will store the username, but your password will not be visible in our records. : We may receive information about you from other sources. You may link your Facebook, Instagram, and/or Google accounts to your user profile. If you choose to link your Facebook, Instagram, and/or Google accounts to your user profile, we will receive your name, email address and profile picture associated with that account. The Website utilizes the Facebook commenting system, so if you choose to comment on a Website post, your profile picture will appear. : We automatically collect certain information about you and the device with which you access the Website. For example, when you use the Website, we will log your IP address, operating system type, browser type, referring website, pages you viewed, and the dates/times when you accessed the Website. We may also collect information about actions you take when using the Website, such as links clicked. : We may log information using cookies, which are small data files stored on your browser by the Website. We may use both session cookies, which expire when you close your browser, and persistent cookies, which stay on your browser until deleted, to provide you with a more personalized experience on the Website. I will also end all of my posts with this disclosure, reminding you again of how my affiliate links work. Opt-out – You may opt-out of future email communications by following the unsubscribe links in our emails. You may also notify us at dvd2design@gmail.com to be removed from our mailing list. Access – You may access the personal information we have about you by submitting a request to dvd2design@gmail.com. Amend – You may contact us at dvd2design@gmail.com to amend or update your personal information. Forget – In certain situations, you may request that we erase or forget your personal data. To do so, please submit a request to dvd2design@gmail.com. The Website does not knowingly collect any personally identifiable information from children under the age of 16. If a parent or guardian believes that the Website has personally identifiable information of a child under the age of 16 in its database, please contact us immediately at dvd2design@gmail.com and we will use our best efforts to promptly remove such information from our records. Visit dvd Interior Design's profile on Pinterest.